Calli Night is a specially, concentrated herbal formula designed to cleanse and replenish the body while you sleep. It”s also great for those who love a soothing cup of herbal tea at night to help get a good night’s sleep. You can drink it during the day to help you relax when under stress. Either way, the powerful botanical Blend in Calli Night provides a deep, herbal flush that eliminates harmful toxins from the body, restores mental clarity, supports the immune system and much more. There are no chemicals or caffeine added to this all-natural formula. Calli Night Tea is a powerful, aromatic blend of botanicals designed to cleanse and nourish the body. Combined with proper diet and exercise, the unique herbal extracts in Calli Night assist the body’s natural ability to sustain balance and optimal health. 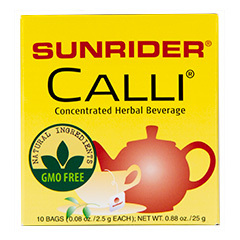 Ingredients: Sunrider only uses the highest quality, non-GMO cultivated botanicals in this proprietary blend of Calli Night. Camellia Leaf (Green tea) contains one of the purest forms of antioxidants (catechins), These antioxidants support the cardiovascular system and eliminate harmful free radicals. Free radicals damage cells, cause cancer and premature aging. Camellia also reduces hypertension and inflammation. Perilla used in traditional Chinese herbal medicine for thousands of years. Perilla has anti-inflammatory properties and is high in vitamin C which supports a healthy immune system. Institute for Traditional Medicine Perilla. .
Alisma Root Herb commonly used in Chinese medicine. 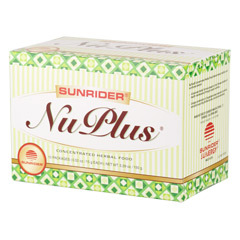 Helps eliminate mucous and water, reduces bloating and fights infections. Has been reported effective in the treatment of diabetes. 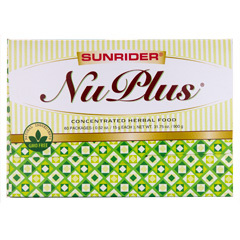 It is mild, natural diuretic that promotes kidney, bladder and urinary tract health. Imperate Root has healing antiviral, antibacterial and anti-arthritic properties. Helps reduce inflammation of the liver and kidneys. 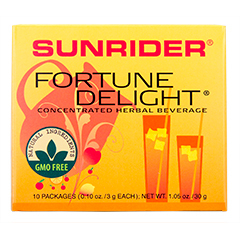 Sunrider Guarantee – All Natural / Pure: Calli Tea is an all-natural, non GMO herbal tea. 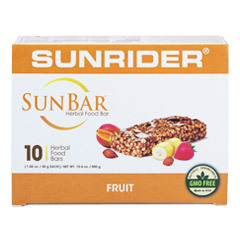 It is caffeine free and does not contain chemicals, flavors, sugars, preservatives or colors. Suggested use: Steep one Calli Tea bag in 16 ounces of hot water for three to five minutes. Then remove bag. Start with one half to one cup per day.Because Calli is such a powerful cleanser, some suggest only during the day at first. Once you have established a routine, experiment with concentration and amount. Benefits of Calli Tea: Calli Night Tea is a Super Green tea elixir with powerful antioxidants, energy boosters and cleansers. 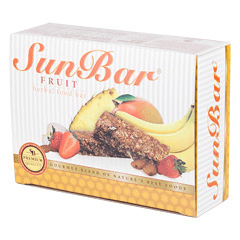 Loaded with antioxidants that eliminate cancer causing free radicals. 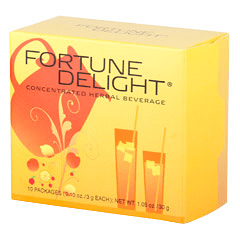 Healthy, safe alternative to energy drinks and sugary, high calorie sodas. 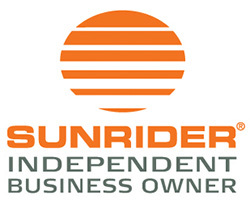 No sugar, artificial sweetners, or chemicals. 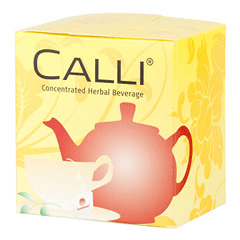 Calli NightTea Contraindications Contraindications have not yet been identified. 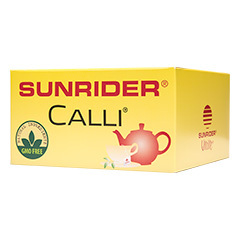 Calli Tea for Pregnant/Lactating Moms Information regarding safety and efficacy of Calli Tea in pregnancy and lactation is lacking. 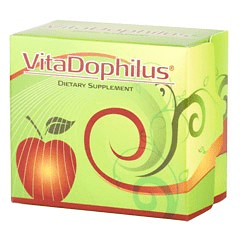 VitaDophilus® supplement supplies a minimum of 20 million live culture bacteria to the body. This beneficial bacteria embeds itself in the walls of the intestines. 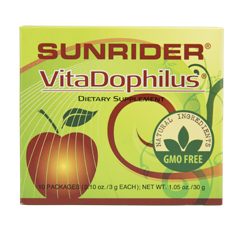 * Delicious apples form the base of our VitaDophilus® powder. 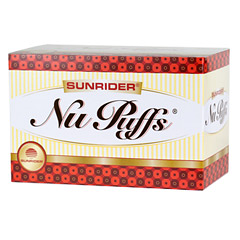 A healthy snack alternative, NuPuffs® are made with superior raw herbs using Sunrider’s unique formulation that uses NuPlus® herbal food as its base, an excellent source of complex carbohydrates. NuPuffs® help you pass up junk food, such as chips and other crunchy snacks that contain hydrogenated oils that add empty calories to your diet. The cocoa flavor satisfies your sweet tooth, and the cheese flavor fulfills your salt cravings without the high level of sodium commonly found in chips, crackers or pretzels. These snacks often have 300-600 mg of sodium per serving, compared to only 25 mg for cocoa NuPuffs® and 160 mg for cheese NuPuffs®. 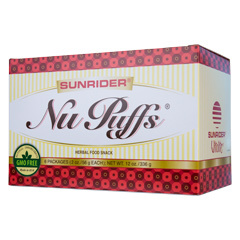 Best of all, NuPuffs® contains Coix Fruit, a source of antioxidants. Enjoy NuPuffs® throughout the day. Eat them in place of cereal, chips, popcorn, cookies and other snacks.